Since Rolling Loud’s inception in Florida three years ago, the festival has kept growing. This past weekend, the massive hip-hop line-up headed to the Bay Area. Two enormous stages were placed in the Oracle Arena parking lot, and thousands upon thousands of fans clamored through multiple security checkpoints to reach the madness. For the number of people packed into that parking lot, the drama was relatively low. Of course, the drunken vomiting young college kids made an appearance, as well as the young girls who try to finesse their way past security in seductive outfits. But outside of the stereotypical neon colored outfits and smell of cigarettes and marijuana, Rolling Loud carried along with minor drama. What made Rolling Loud stand out in the Bay was the inclusion of several local artists. Without the Bay Area artists incorporated in the line-up, Rolling Loud would have felt like another generic festival with obvious artists like Travis Scott or Wiz Khalifa. Locals artists that lit up the stage included P-Lo, Saweetie, Kamaiyah, Mozzy, ALLBLACK, SOB X RBE, and of course, E-40. Bay Area residents felt a connection to the artists that came up from their cities, and you could feel the pride in the air. Many fans who were not from the Bay, such as myself, felt lost when the crowd broke into choruses and rapped along to songs that painted pictures of cold Oakland nights. The inclusion that was shared by the Bay Area residents and the rappers that hail from their cities will undoubtedly bring the same fans back next year. It was also the perfect touch of authenticity. The two-day festival came and went like a blur, filled with great music and festival food. The weather fluctuated between hoody and scarf weather to a shorts and tank top climate almost as rapidly as artists hopped on stage. Although there were more performances occurring than I could watch in one weekend, here are the most memorable moments of Rolling Loud Bay Area. 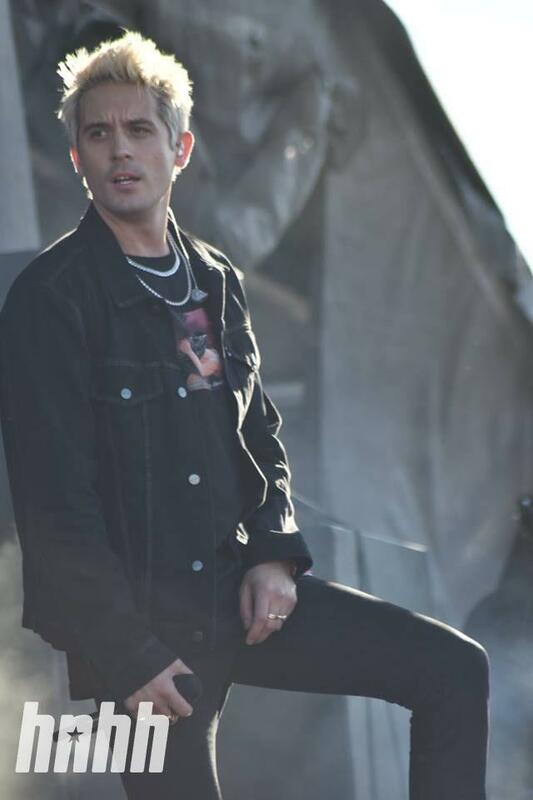 P-Lo was on tour with G-Eazy, and the “Me, Myself & I” rapper returned the favor when he appeared during the former’s set. G-Eazy performed “No Limit” while unexpectant fans lost their minds. The Bay Area love was real, and G-Eazy stuck around on stage while P-Lo performed a handful of his singles. I can’t say this enough: all artist need to be touring with a live band. Although the DJ/Rapper method is classic, adding a live band to the performance takes everything to another level. 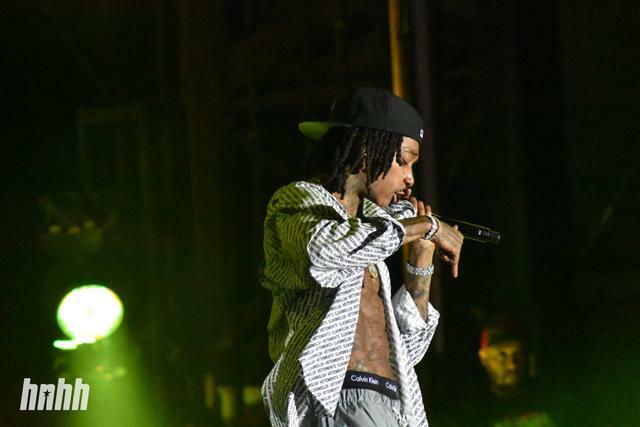 Wiz was wise enough to bring his band, which in turn elevated his performance to one of the best of the festival. Songs like "Black And Yellow" and "We Dem Boyz" sound magnificent with a band lacing the instrumental alongside the DJ. XXXTentacion’s crew Members Only and Ski Mask The Slump God made sure to salute their fallen comrade. Members Only and the massive crowd sang along to "Jocelyn Flores," which sent a chill through the air as the united melancholy reverberated throughout the parking lot. Ski Mask The Slump chose to reveal a massive flag with the late rapper’s image on it during his set. The flag flew in the background of his entire performance, giving the audience a constant reminder. P-Lo was the hometown mascot, and I swear I saw him multiple times. 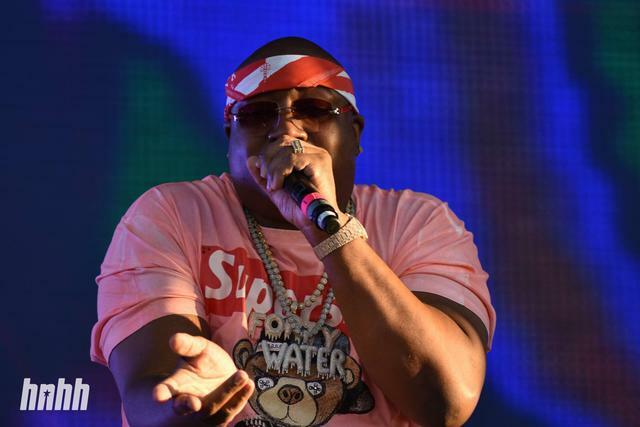 He had his own set, but also performed alongside E-40. Not to mention, bringing out G-Eazy, the current Bay Area icon. SOB X RBE also made more than one appearance, as the crew hopped on stage during Wiz’s set and E-40’s performance. The hometown love continued with Saweetie, Kamaiyah, Mozzy, and ALLBLACK highlighting the new Bay Area sound. The crowd’s energy was intense as they sang along to bangers that were more familiar to Bay Area residents than most, giving the entire festival an authentic North California experience. La Flame didn’t have to fly Young Thug out for a spirited performance of their track "Pick Up the Phone.” Thugger had performed earlier in the day, and he joined Travis to close out the festival with their banger. 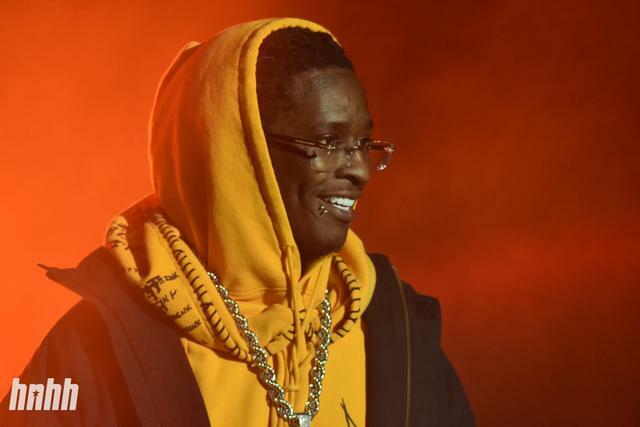 Despite the looming court case, Young Thug seemed elated and energetic. Their combined autotune croons created a melodic sway that hypnotized the audience. 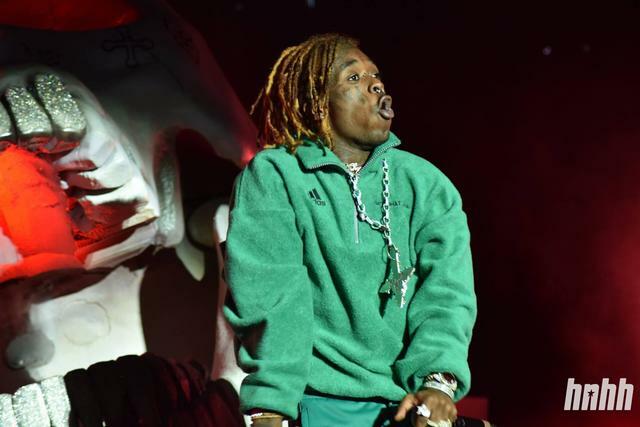 Lil Uzi Vert jumped around the stage in a green jumpsuit, with a large skull and crosses propped up behind him during his set. Vert’s autotuned mic echoed around the parking lot as he stopped the music and announced that he would be dropping new music. As promised, Vert came through with “New Patek” on Tuesday morning. The passing of Mac Miller left a hole in the hip-hop community that will never be filled. 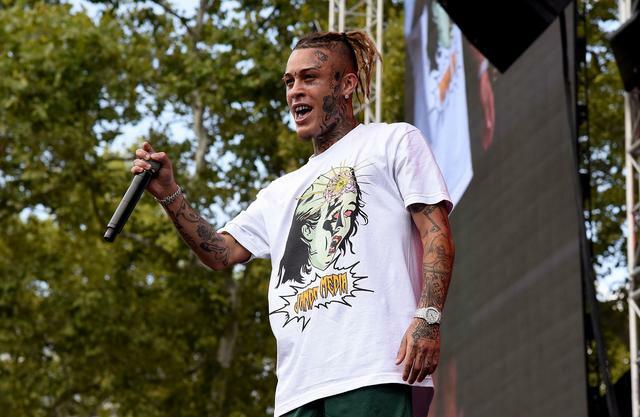 The young lyricist inspired millions of people, including Lil Skies. During Skies set, he stopped to perform “Donald Trump,” which may be one of the only times the president’s name will get a roaring applause at a hip-hop concert. The crowd sang along with Skies, who emitted more energy singing Mac’s lyrics than he did his own. Wiz closed out Rolling Loud on Saturday night, which means he had an extended set compared to earlier artists. 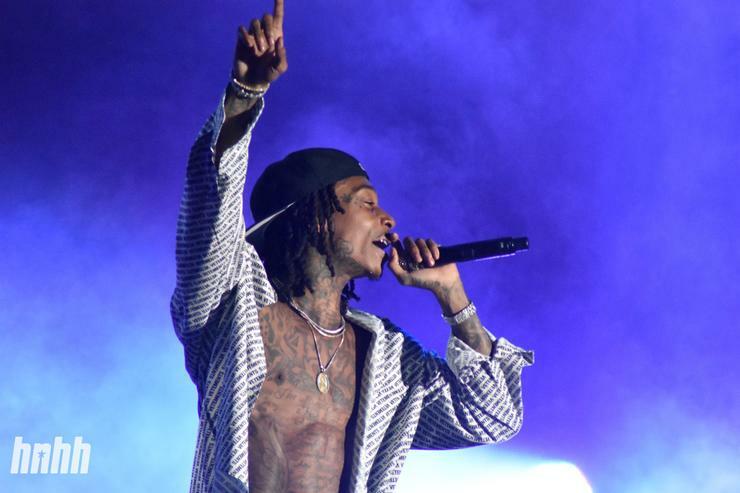 After blessing the audience with several singles, Wiz brought out Chevy Woods, Berner, and SOB x RBE to perform their own singles. 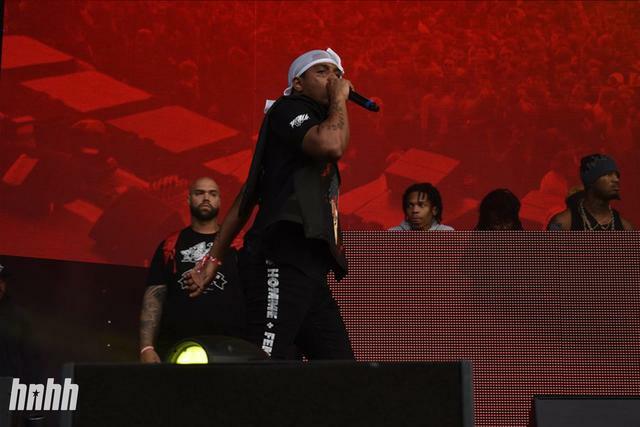 SOB x RBE’s “Paramedic!,” which was featured on the Black Panther soundtrack, had the crowd mobbing before Wiz reclaimed the stage. Rita Ora Announces Second Studio Album "Phoenix"
Issa Rae & Ellen Take Shots While Talking "Insecure"